A weak anti cyclone circulation dominates the Arabian Sea from Wednesday at least till the weekend. The winds, clockwise, will pick up speed in the sea. Strong NW winds will be experienced along the South Karnataka and Kerala coastlines. Resultantly, the trough along the west coast disappears. Rest of this week, the entire West coast of India sees reduced rains, (10-25 mms/day), and sunny weather. Mumbai will have 3/4 showers and light rain with sunny periods on Wednesday. But will change, decreasing from Thursday, when more sunny weather, with a couple of showers interfering in the day. 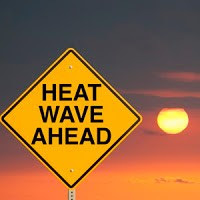 Day temperatures will rise to 32c from Thursday. There may be some towering thunder clouds seen towards the weekend evenings. Daily rains may not exceed 10-12 mms. Chennai will be dry and hot till the weekend. Bangalore gets light showers in the evening in some parts. Rains may not exceed 5-7 mms. The NE states, HP, Kashmir, Uttrakhand and Nepal see increased rains. Vasai since morning has been experiencing showery rain with few heavy showers.sir , what do you feel , will the rain's revive on the west coast by third week of August. Sam/Parshuram: Tis week rains are weak from Thursday.Lets see fesh development next week. Depends on high pressure behavior. Delhi NCR: Palam 38 mms, Sjung 14 mms, Ayanagar 42 mms, Hindon 34 mms. Mumbai: Scruz 11 mms colaba 4 mms. today mumbai receive some heavy to midium rain in afternoon but its only heavy passing shower.rain likely to review after next week. Same here in Malad Since morning raining continuously but with medium intensity. dark clouds with thunder.waiting 4 shower. last 3 days, my home gets more rain than my shop, typical september rain during last stages of monsoon.